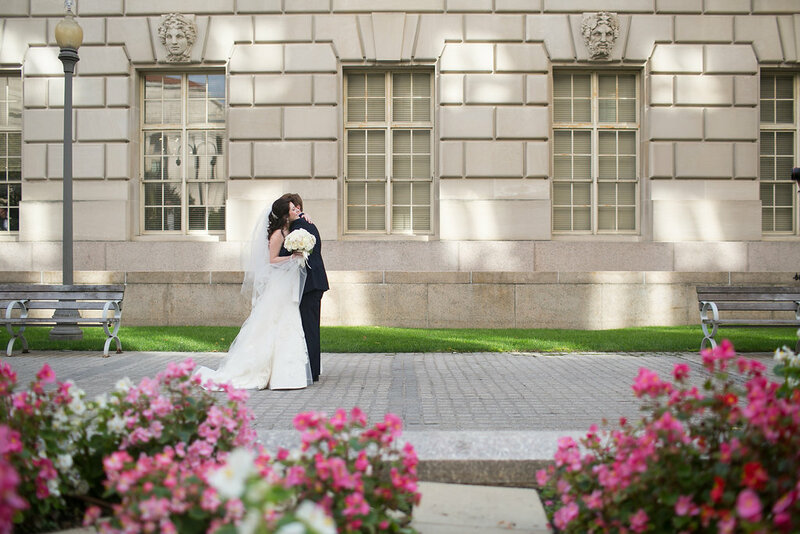 When Andrew and Catherine got engaged, they both instantly knew that they wanted a quintessential Washington D.C wedding as she grew up right outside of the city, and it was their meeting spot when they were dating long distance during her last year at UVA and his first year working in New York. 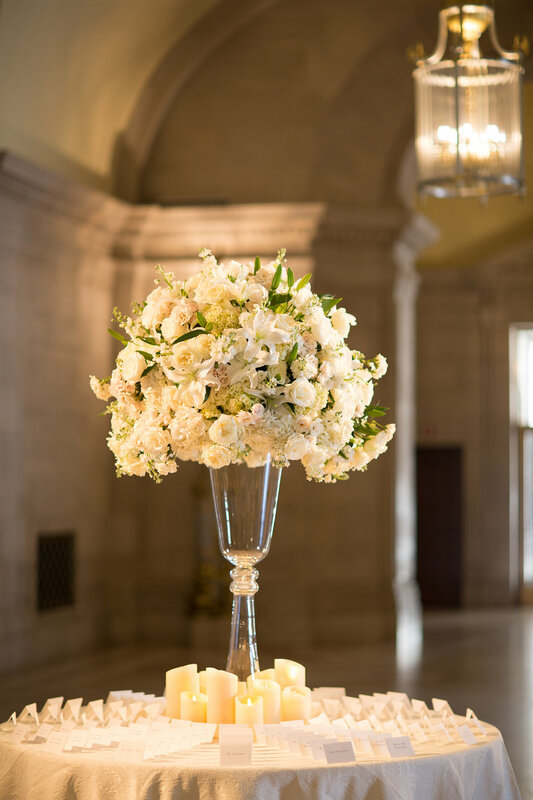 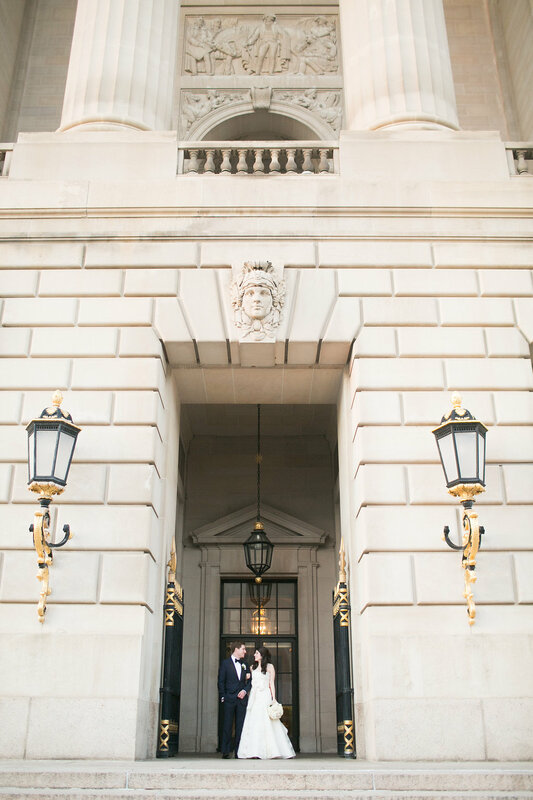 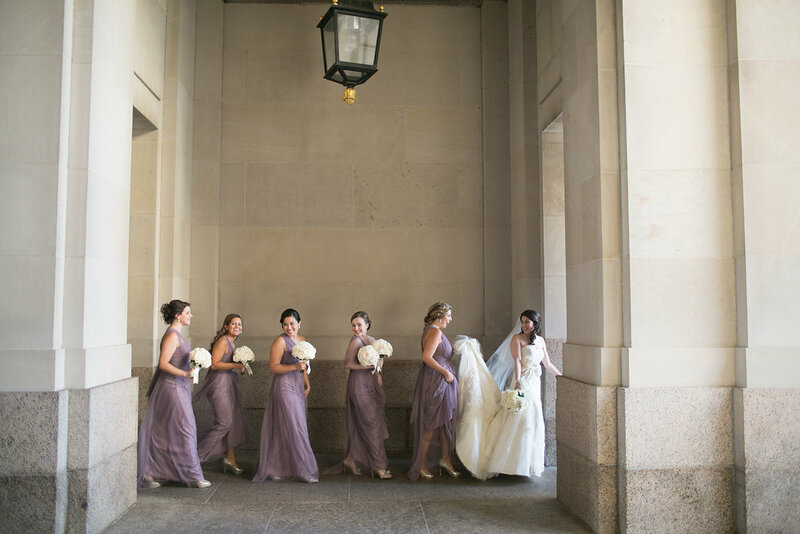 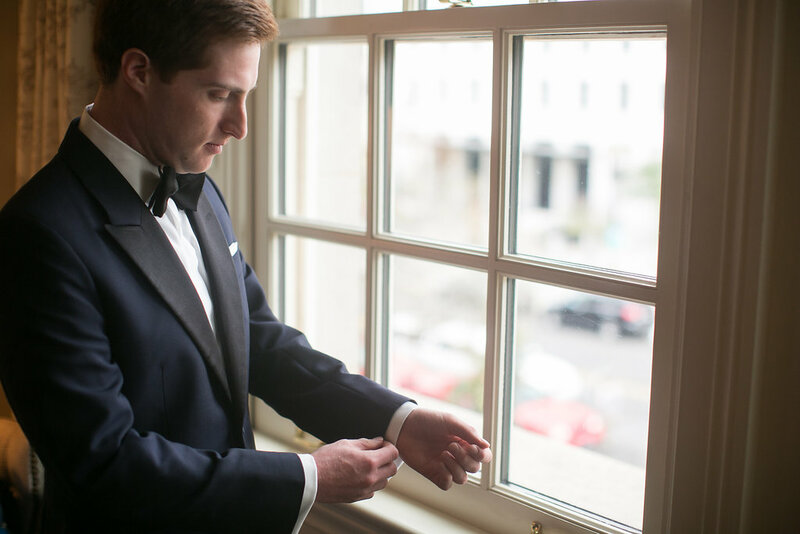 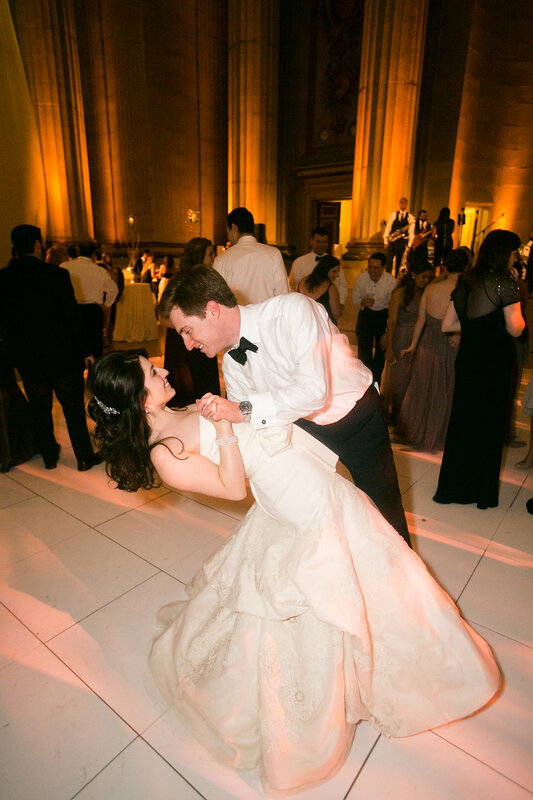 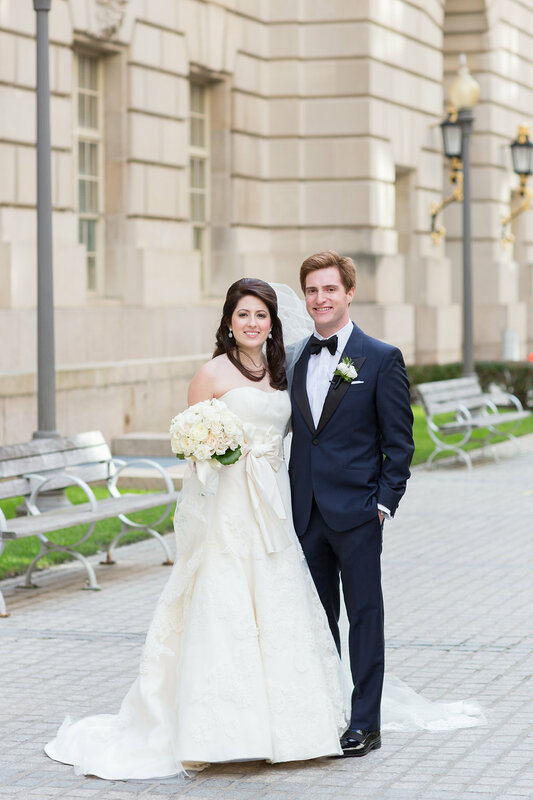 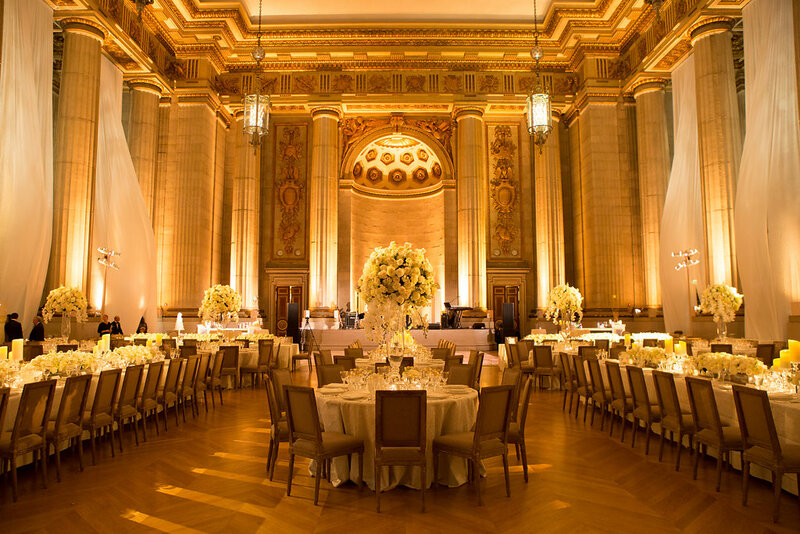 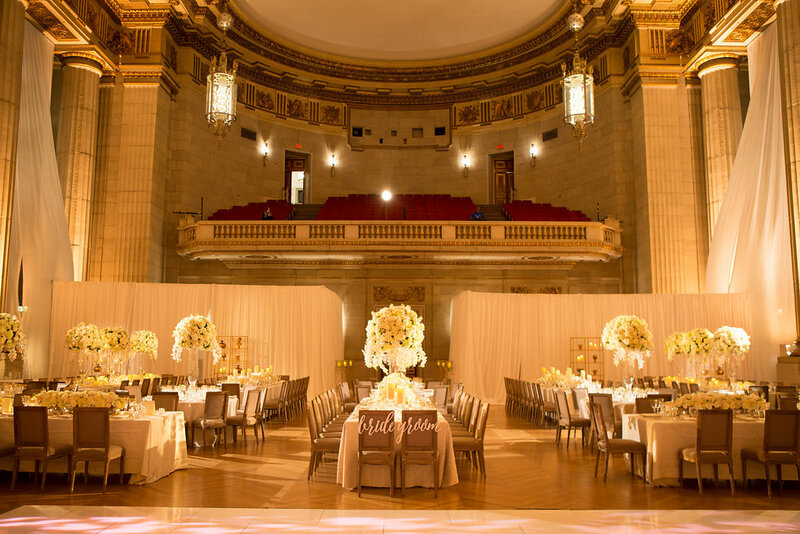 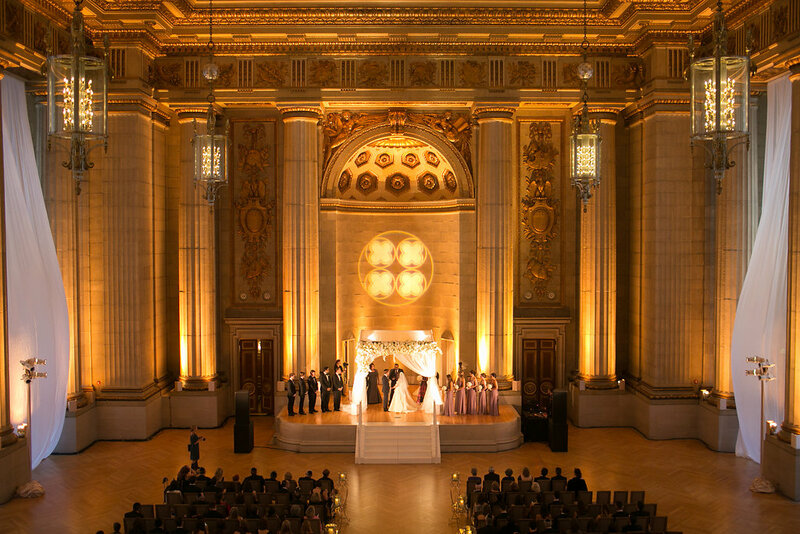 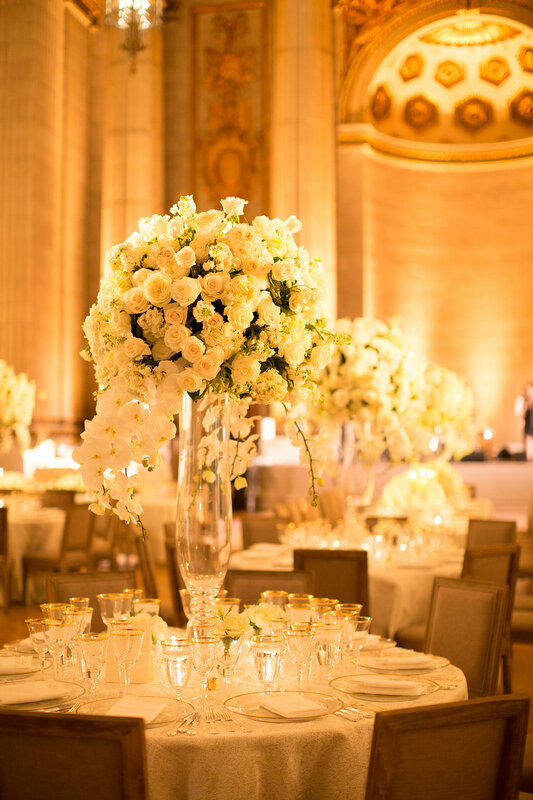 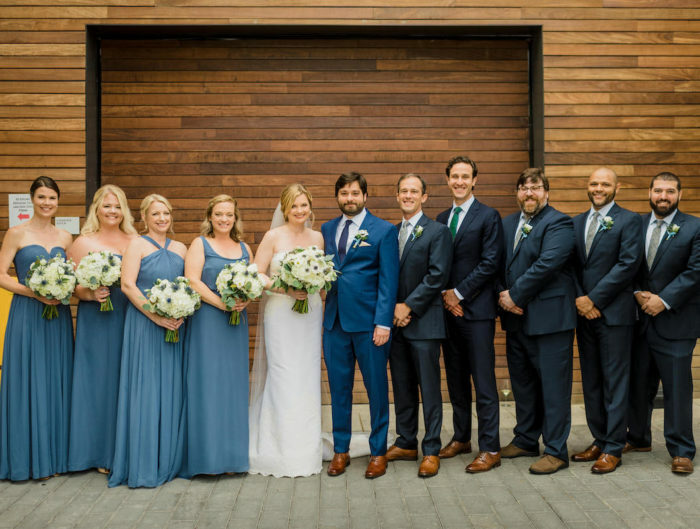 The couple loves how monumental the architecture is in our area, so it was a given that they fell in love with the grand DC wedding venue Andrew Mellon Auditorium. 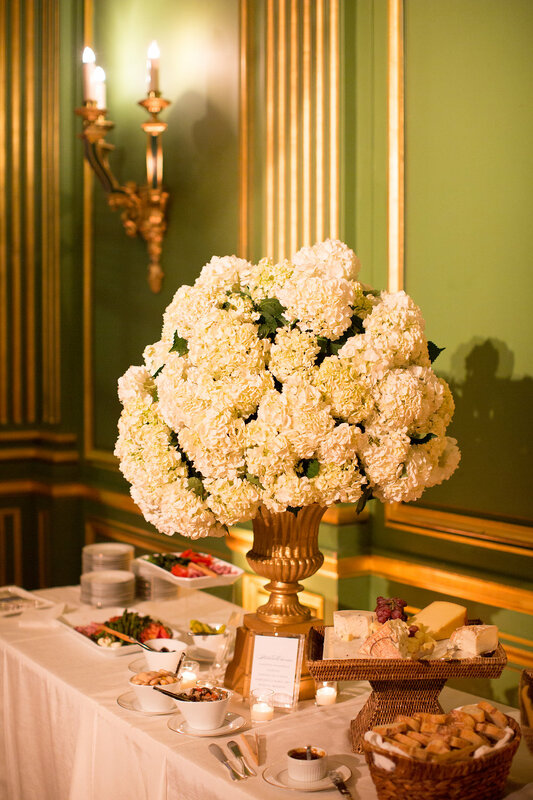 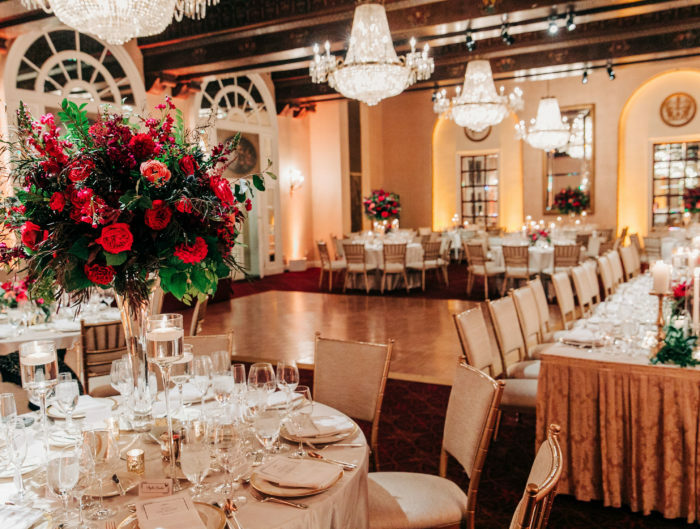 Since the Mellon is such a stately venue on its own, the couple worked with their planning team at A. Dominick Events to create a decor that was timeless, elegant, but also warm and inviting. 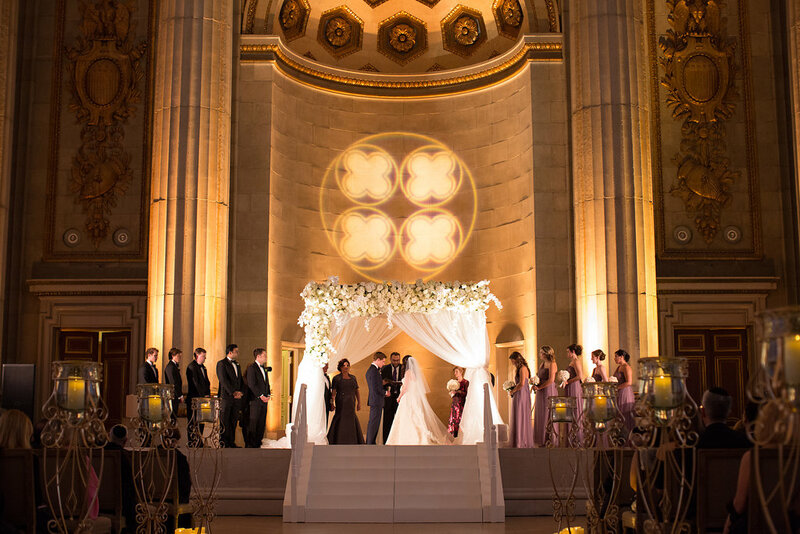 Amaryllis created a flower topped chuppah surrounded by soft candle light for the wedding ceremony. 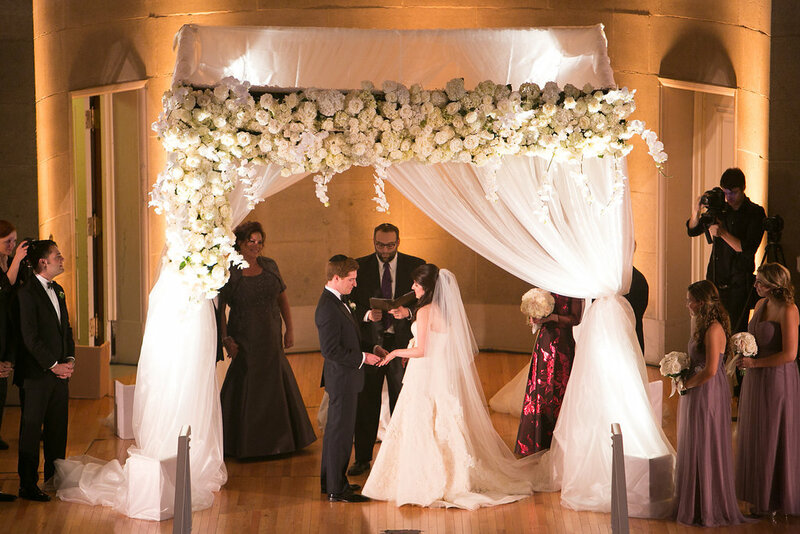 The Chuppah incorporated the grooms Jewish ceremony traditions, and since Catherine’s family is Catholic, the Rabbi did a beautiful job explaining the representation of the chuppah as the couple’s new home with open sides to welcome friends and family, making it an incredibly special experience for all in attendance! 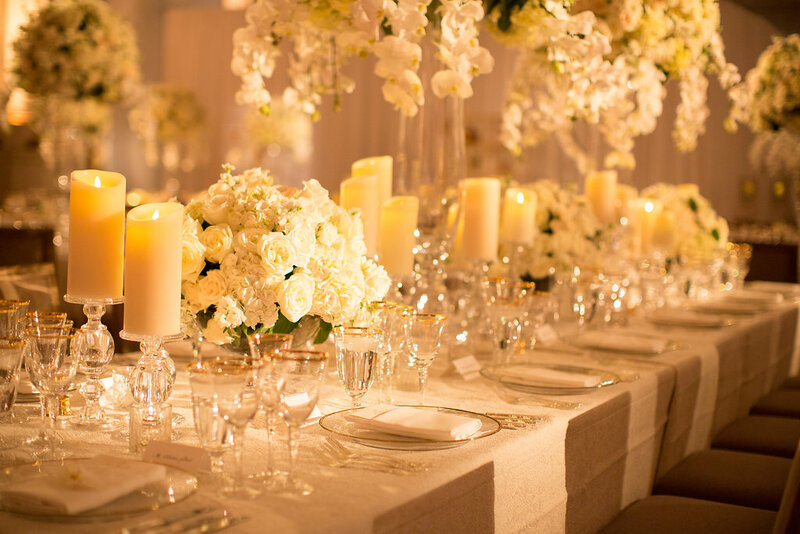 One element about today’s wedding that we loved was the use of texture to keep the all white reception from feeling boring. 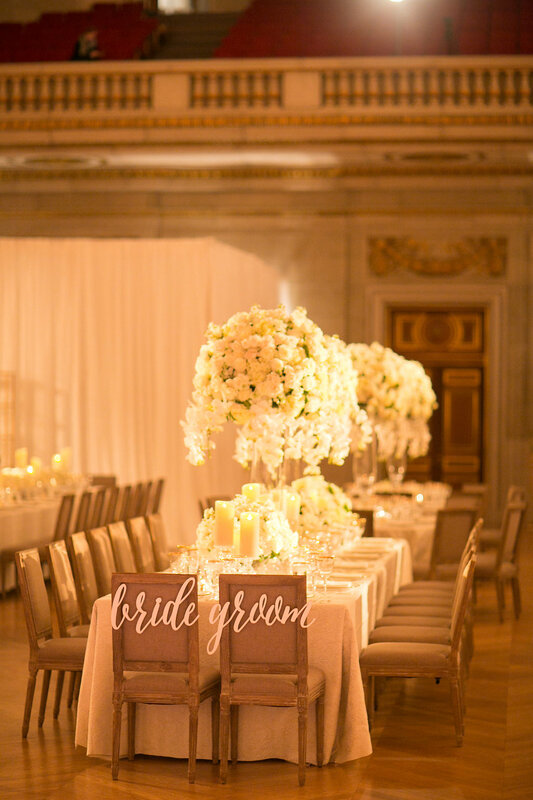 The use of ruffled floral centerpieces, glowing candlelight, and high back elegant chairs made the room feel luxurious yet infused with home spun warmth all at the same time! 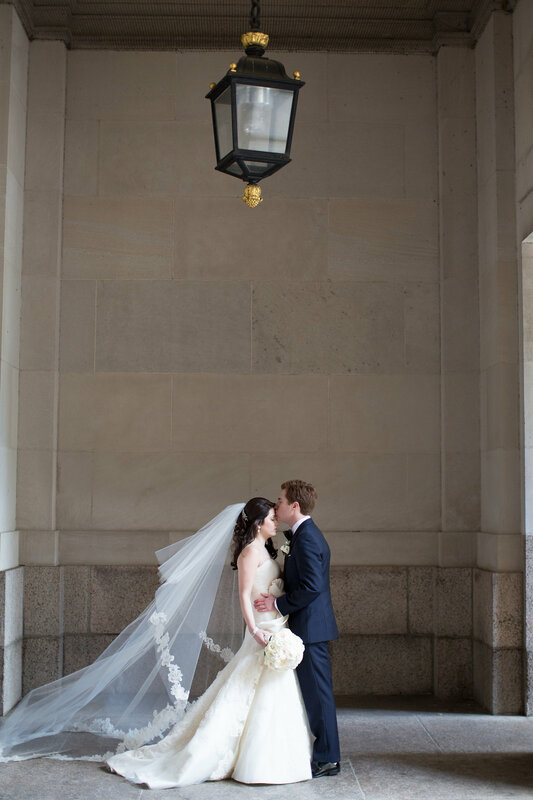 Congratulations to the newlyweds and thank you to A. Dominick Events for sharing this lovely wedding with us today! 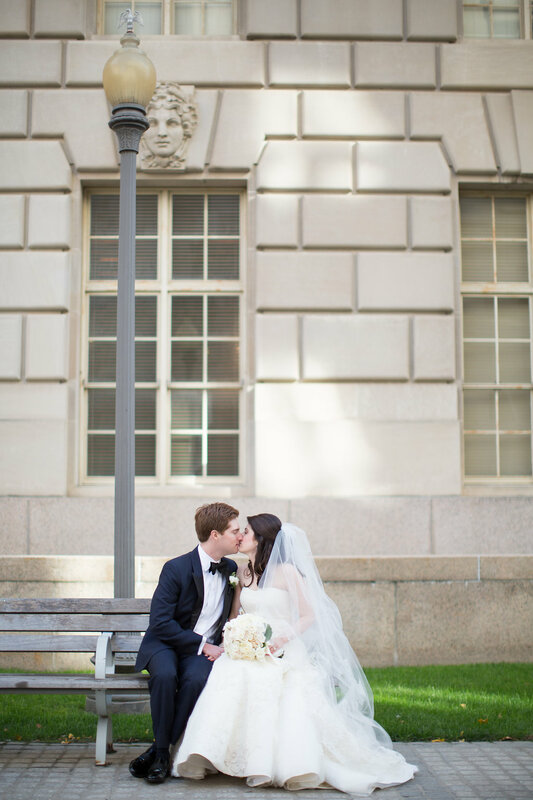 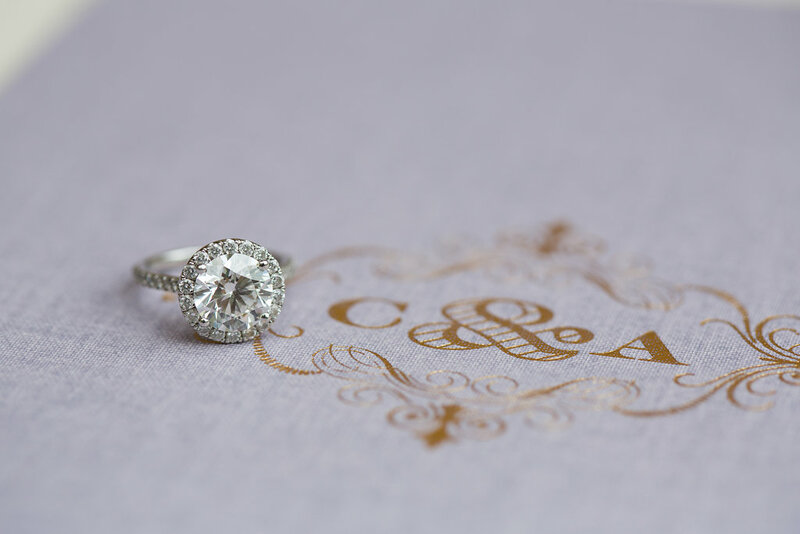 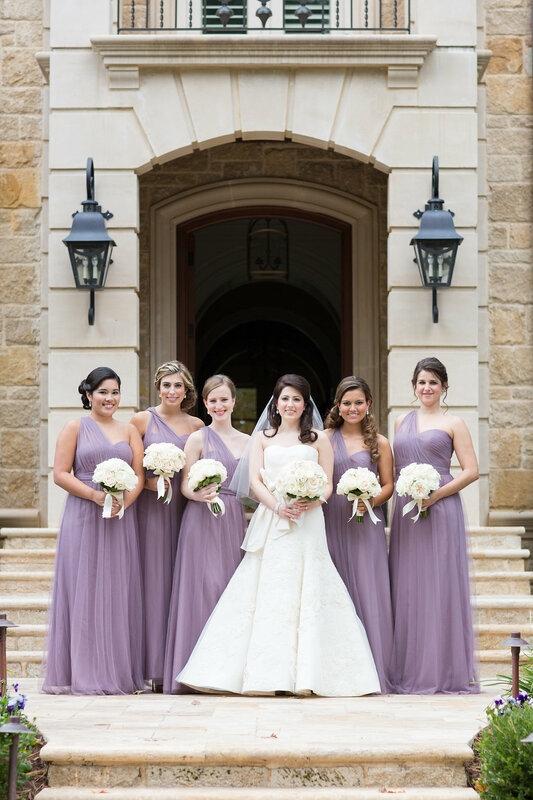 Congratulations to Catherine + Andrew! 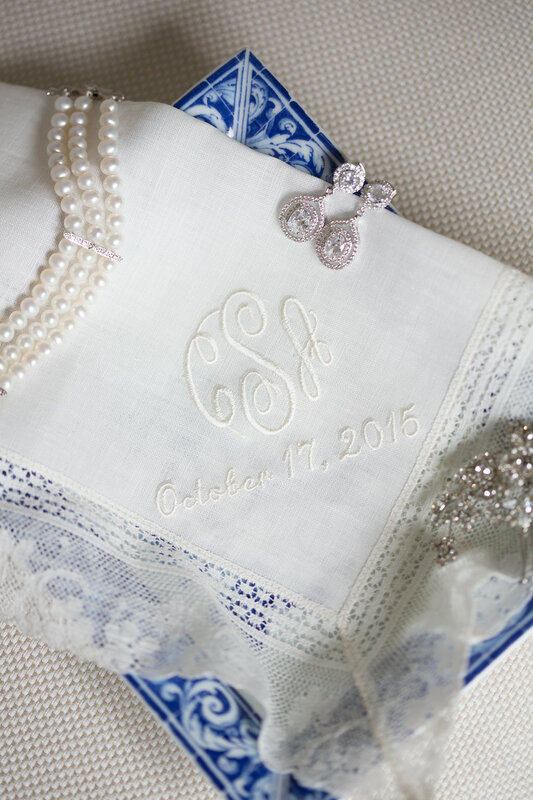 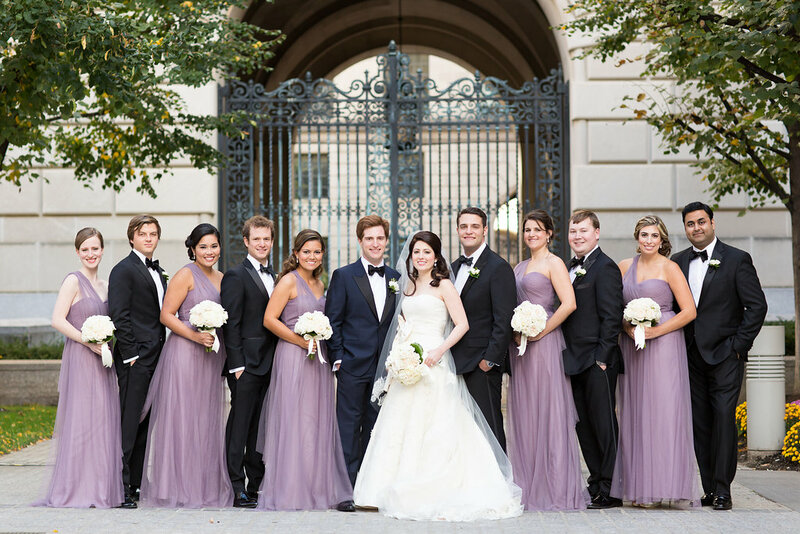 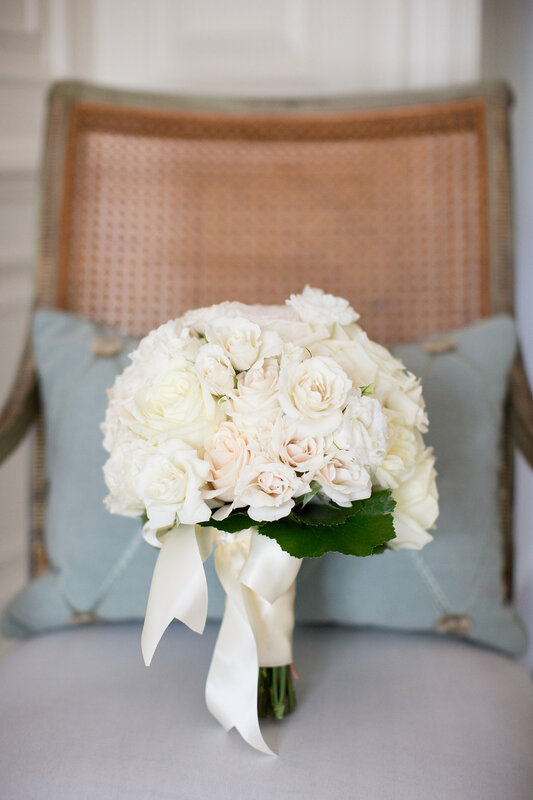 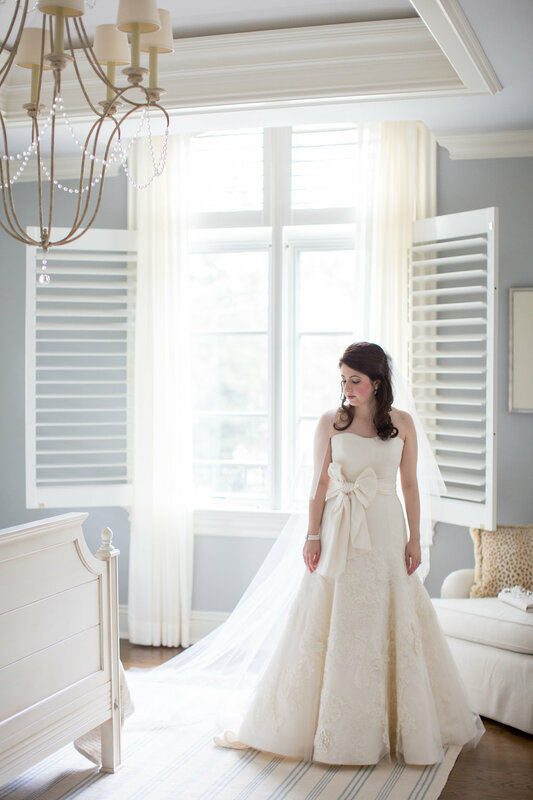 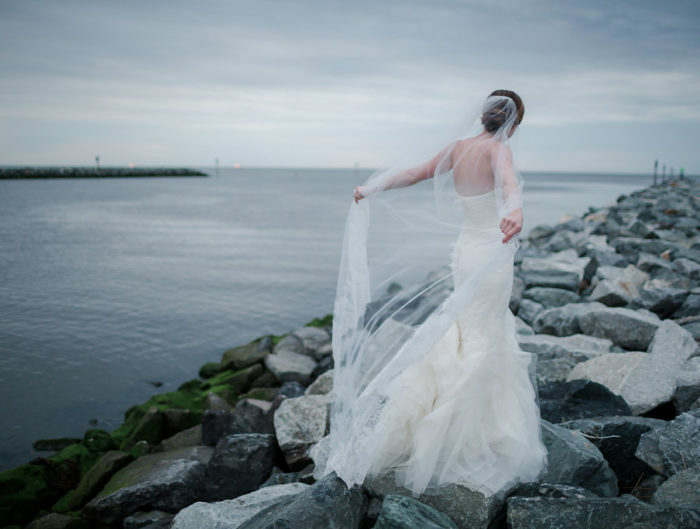 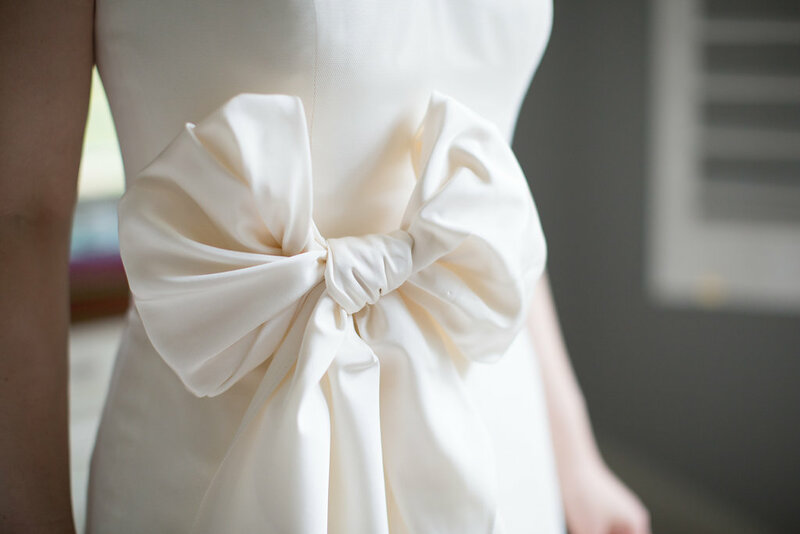 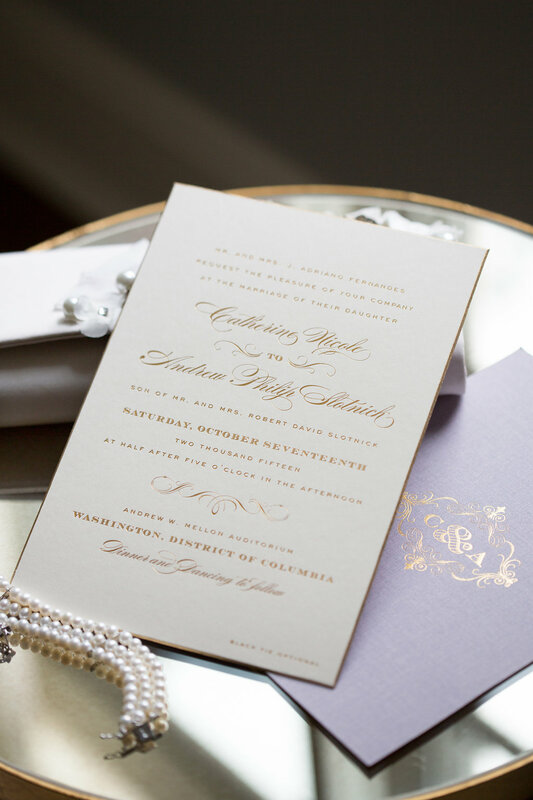 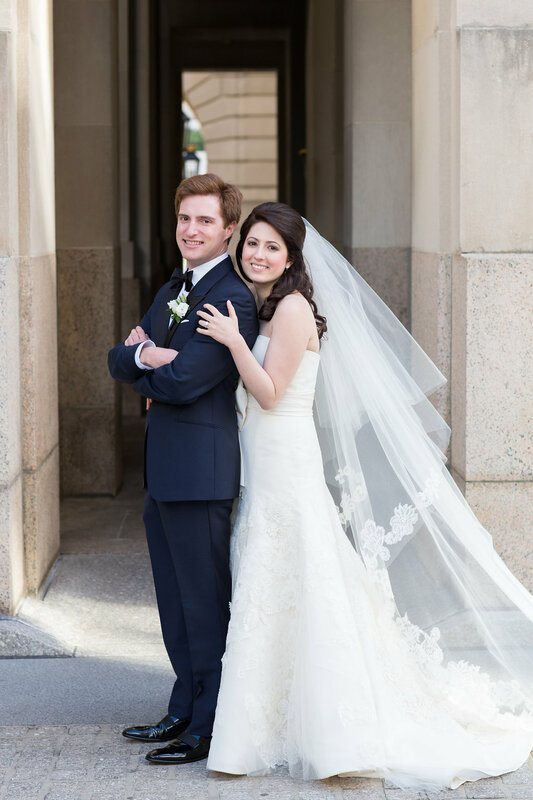 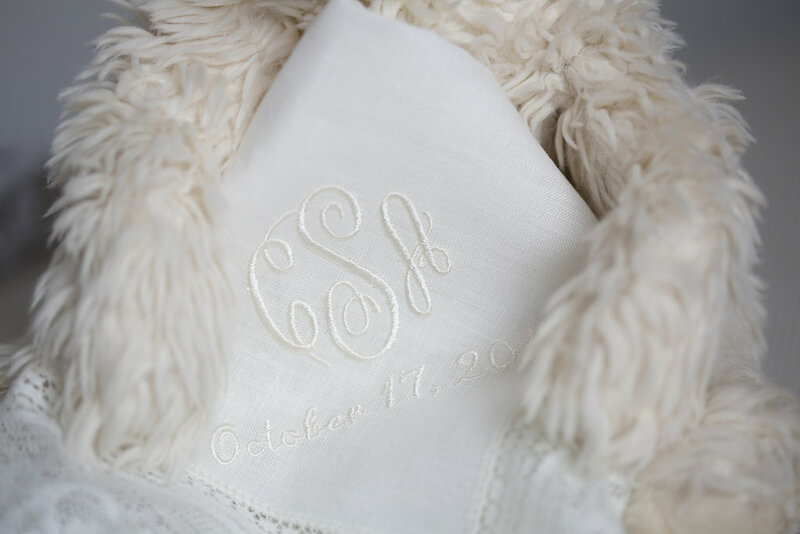 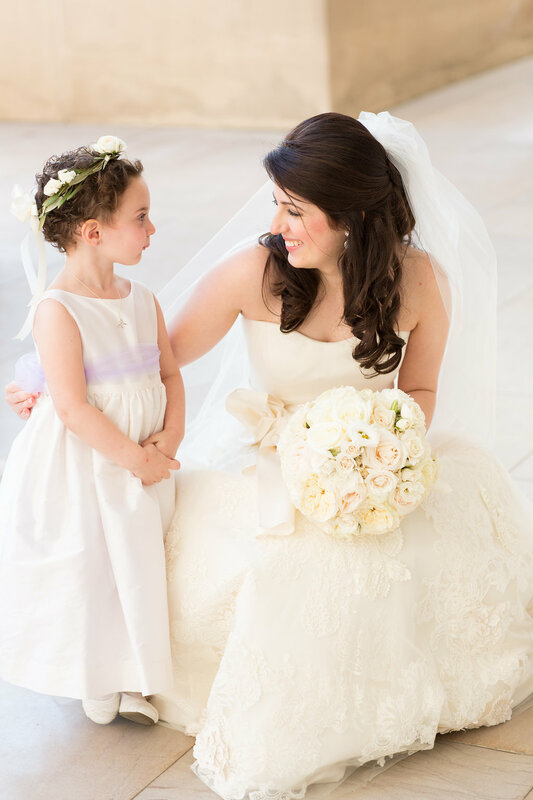 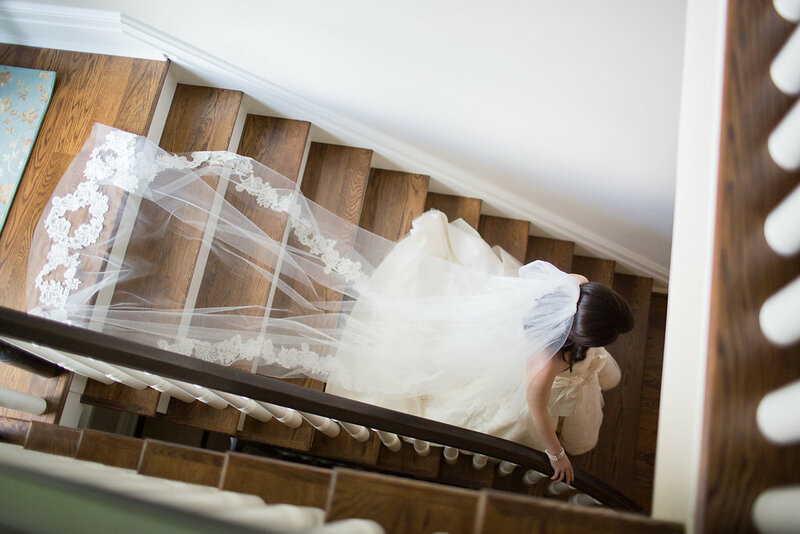 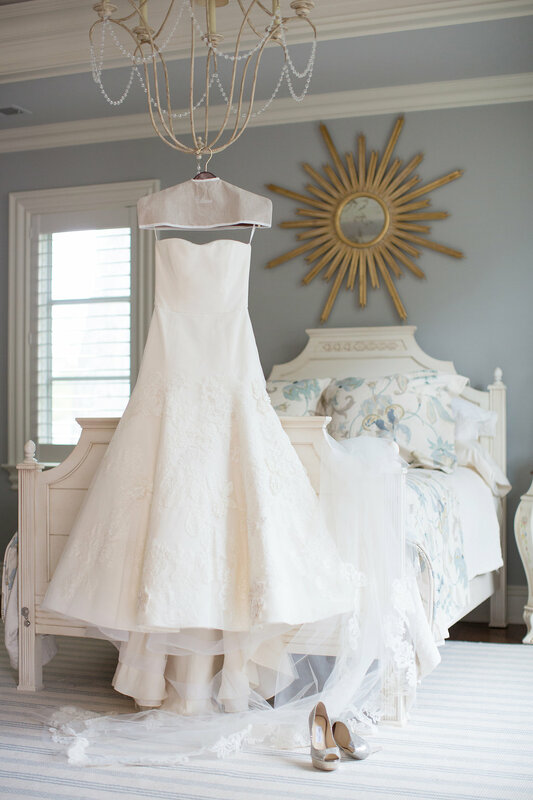 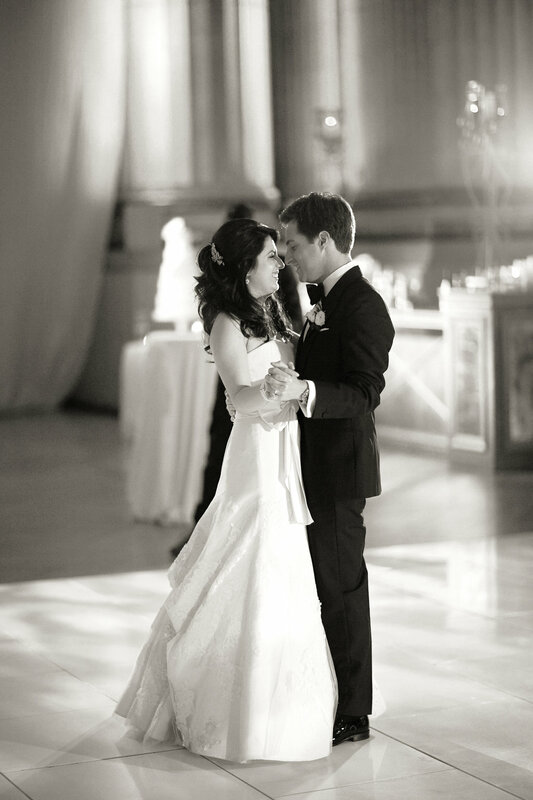 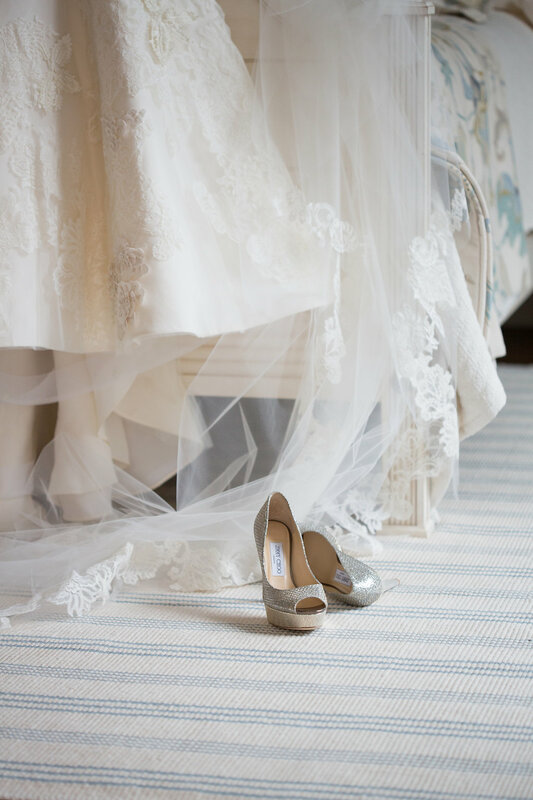 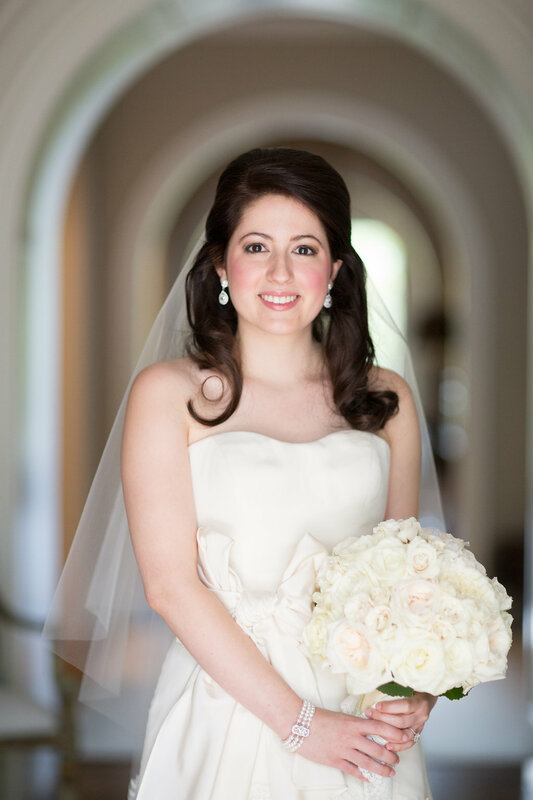 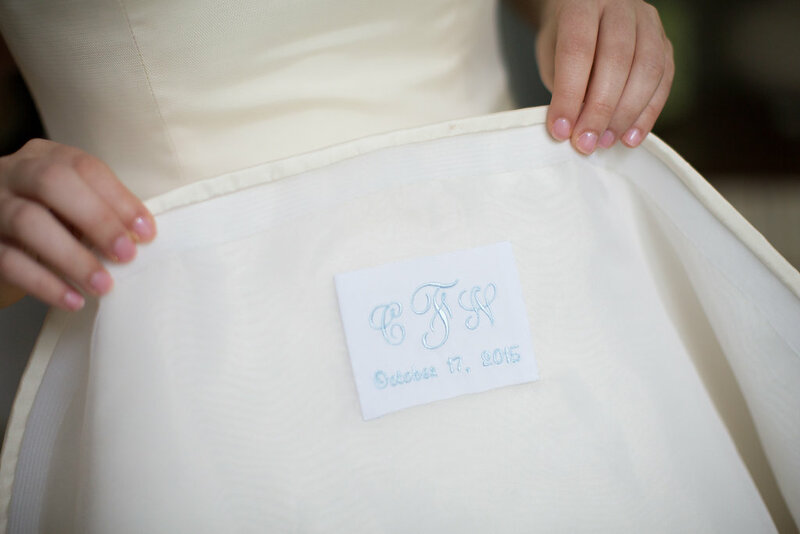 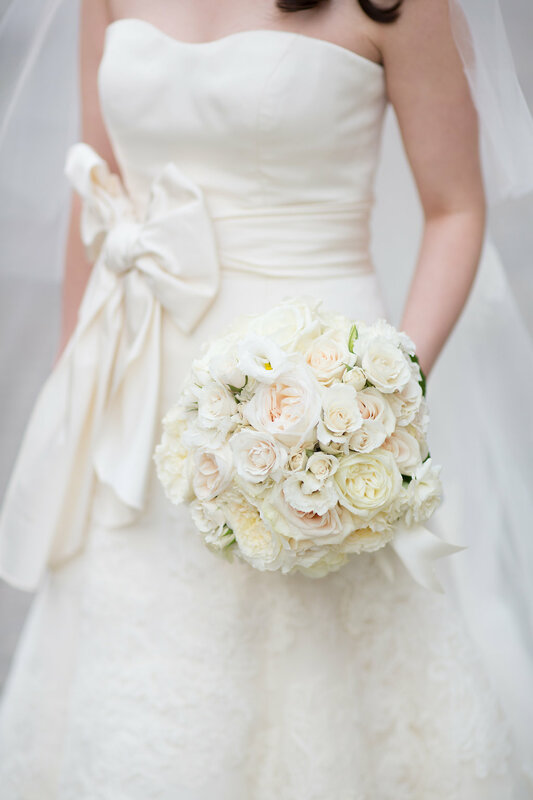 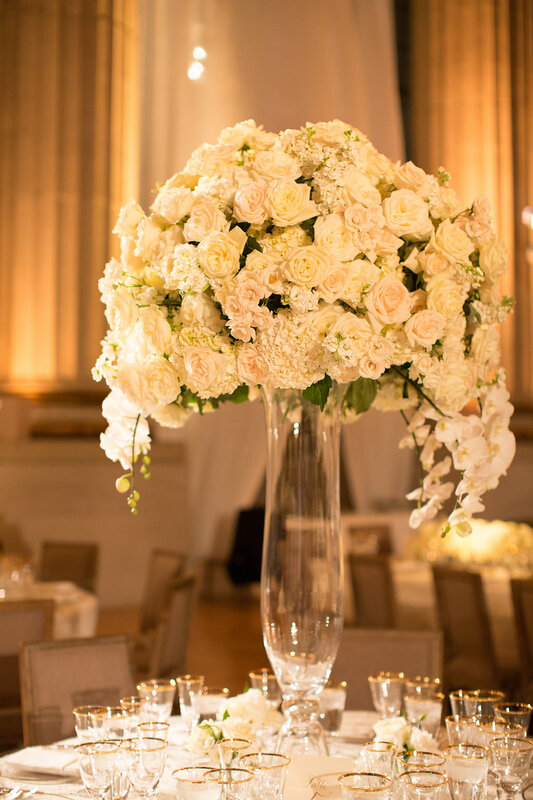 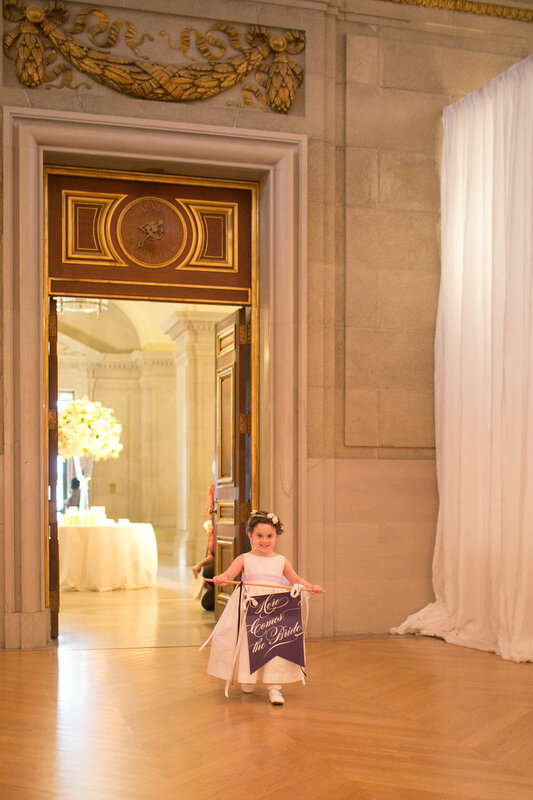 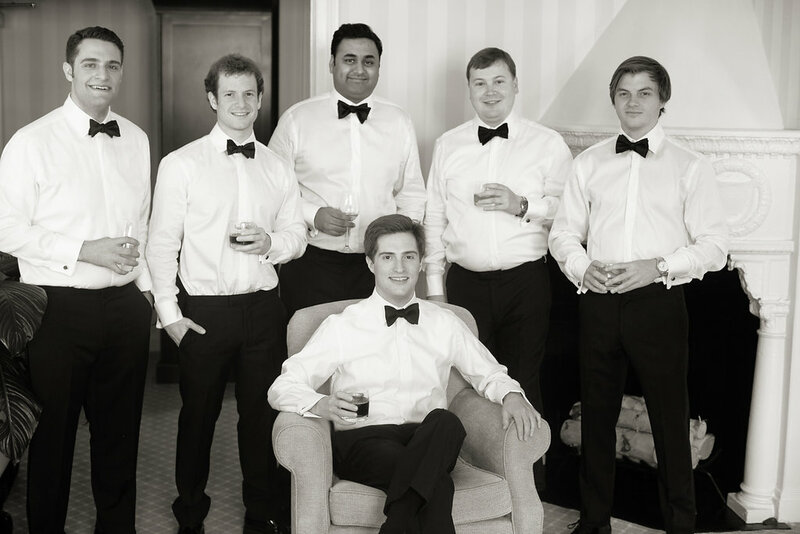 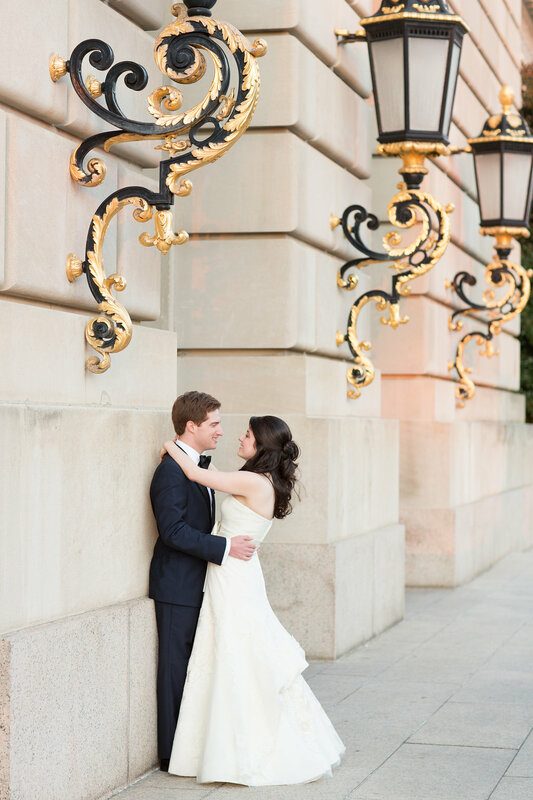 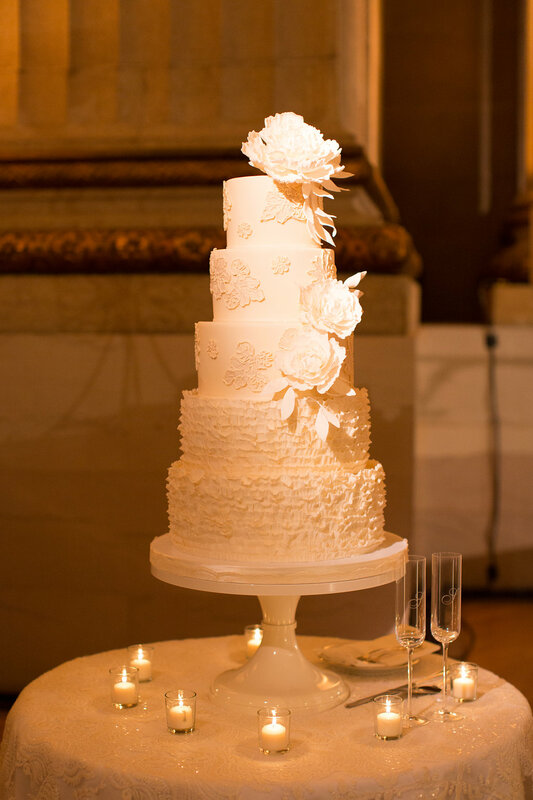 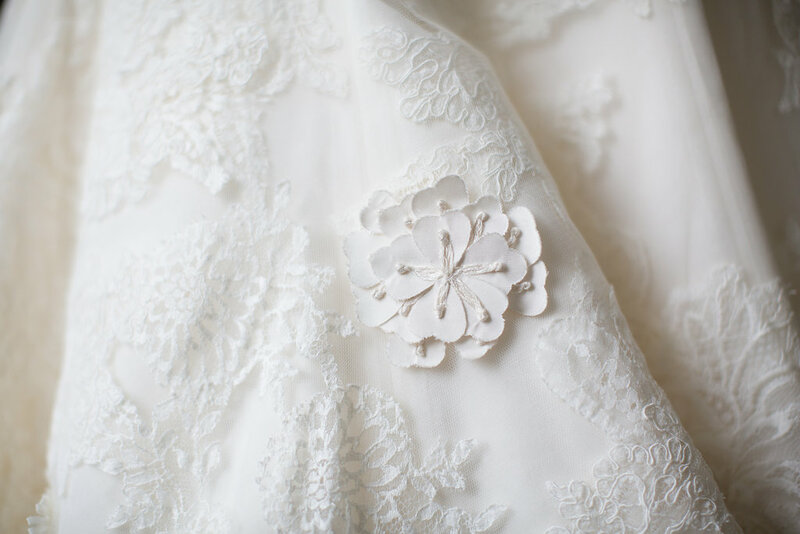 Thank you for sharing your luxurious all white DC wedding with us!